Should I put the EQ before the compressor? Which comes first? Most beginners – but even some pros – stumble upon this age old, but rather perplexing problem of how to build the signal chain. And when they decide upon to actually try it both ways (which is a good move! ), they realize that the two situations result in two different sounds, depending on the order of the two devices. They just seem to affect each other in a peculiar way, with the compressor —> EQ having a more rubbery, somewhat duller sound. But even when you use a compressor alone, in itself, it does sort of equalize the sound source. Why is that? Make up gain is just a volume knob that raises everything proportionally, right? Most of these studio units aren’t like some cheap guitar pedals, they are not supposed to change the tone, right? Well, don’t be so sure about that. But let’s check into this phenomenon a little deeper, so you can decide whether you want to put your equalizer before your compressor. Or the other way around? What most people seem to forget about is that compression is time-related, just like the timbre development of a sound. What do I mean by that? Well, as hinted above, it is a fact that compressors change the frequency response of a signal, not just the overall dynamics. It’s because the frequency content – or as we often call it, the envelope – of most sounds change from beginning (attack) to end (decay) as well. So what does that envelope look like? You usually get a sharp attack with a good amount of treble, then a decay with a still gradually developing low end. By the end of the decay, the initial treble content is usually long gone. Now let’s put the compressor in the process: once the signal is over the threshold and increasing, the compressor starts turning it down gradually, depending on your attack setting, so that it turns down the initial transient with the treble content, and maybe part of that developing, bassy sound as well. Then the signal level starts falling, so the compressor releases it, turning the level back up gradually, depending on your release time. By then the attack transient is gone, and depending on the source, it might be turning up that above mentioned, still sustaining bass content, or some midrange frequencies, or even an otherwise masked bunch of top end harmonics (rare). Now that you’re a bit closer to the answer of the compressor vs. EQ debate, think about the following as well: if you have a long attack time, most transients will slip through more or less unaffected, and then naturally, the compressor will not be able to match the level of those transients, no matter how quickly it’s turning up the decaying parts of the sound (release). This will result in an overall brighter tone. You can see that whatever is dominant in your transients going to control the compressor, but then it will affect the rest of the signal as well. Now if we put an EQ in front of that compressor and remove some low end, we will end up controlling the compressor with a transient being richer in mids. But eventually it’s going to turn up some of the remaining low end during the release process as well. So it’s kind of working against the equalization. 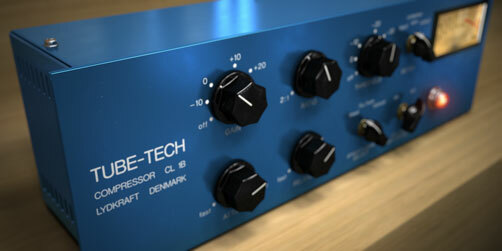 Putting the EQ after the compressor will result in a cleaner, more accurate sound. But without having an EQ before it as well, you can’t control what kind of frequency content will hit the compressor. In some cases, this extra EQ is needed. In others, it isn’t. So, which one is it better to include first in the chain? You be the judge. Next → Next post: Visual cues for mixing – crutch or not?